If you are looking for a probate attorney in Missouri, it is crucial that you find someone experienced who understands the probate court process. The Piatchek Law Firm is located in Springfield, Missouri, and our knowledgeable attorneys assist with probate cases in counties throughout Missouri. We would be happy to assist you with the probate process, and we have put together the following information to help you understand the various types of probate cases and how probate works. Especially if the case is relatively cooperative or uncontested, few court appearances (if any) will be required. Probate is a “necessary evil” that is required in one limited circumstance: when a person dies with assets still legally titled in their own name. In other words, probate is necessary when assets are “stuck” in the name of a dead person. When someone dies owning assets in their name only, the assets will stay stuck that way unless someone takes action. 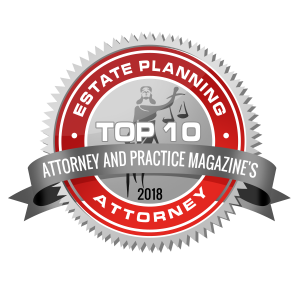 Probate is the process of getting these assets “unstuck” – out of the name of the deceased individual and titled into the name of that person’s living heirs. There is a popular misconception that creating a will allows you to avoid the probate process altogether. This is simply not true. A will gives the creator the option to select who will be in charge of their estate (the “personal representative” or “executor”) and who their beneficiaries will be. The creator can also state who they would like to be the guardian of their minor children, provide special burial instructions, and much more. But a will does not avoid probate. In actuality, a will directs the probate process. If you would like to learn how to avoid probate altogether, please call our office to set up a consultation. There are several different methods of probate in Missouri, depending on the size and type of assets involved. Below you will find very brief descriptions of some of the probate methods available. Affidavit of Heirship: If you could otherwise use the “determination of heirship” proceeding above, but the only asset being dealt with is real estate, there is an exception that may allow you to avoid probate for that real estate only. This method is called “deed of heirship” or “affidavit of heirship.” To use this exception and avoid probate court, you will have to be able to locate and name all potential heirs. It works best if all heirs and their spouses are cooperative in the creation of the document. The affidavit of heirship is one of the only probate avoidance techniques that can be accomplished after someone has already passed away. Please see our webpage entitled “Affidavit of Heirship” for more detailed information on this method of probate avoidance. Call our office today at 417-882-5858 or send us an e-mail to schedule an appointment with one of our attorneys to further discuss your specific probate questions and concerns.